When the sea urchins that were caught by female drivers called ‘Haenyeo’ meets seaweed that contains calcium, iodine and various minerals, it can be a wonderful meal to fulfill your tired body and mind. I think, the best food for experiencing the natural ingredients is Seongge sea cucumber soup of Seogwipo Olle Market. 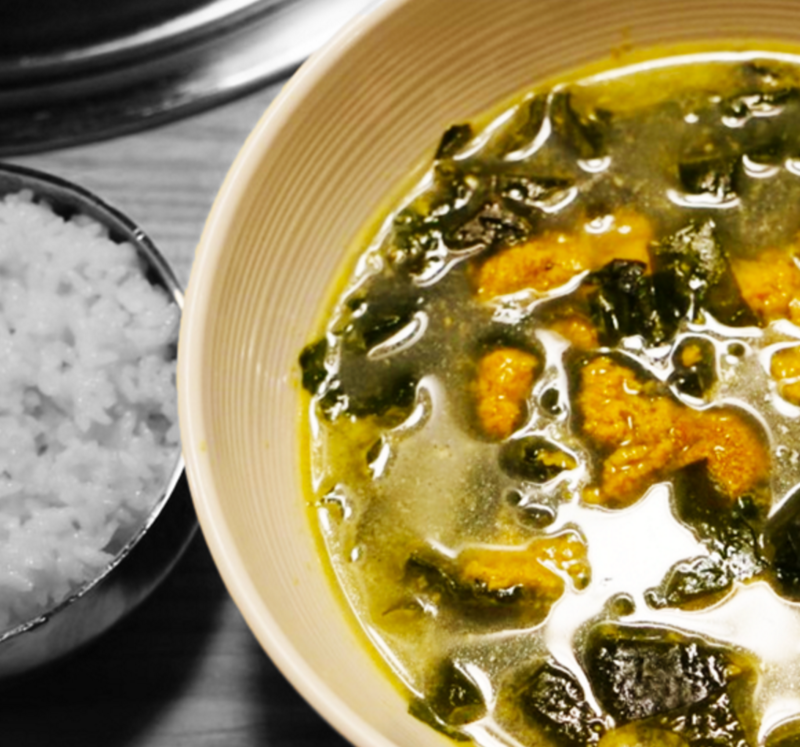 It may be a mix of unfamiliar materials for the people who come form the land, but the sea mustard soup with sea cucumber is the best combination to increase its taste rather than any other ingredients such as beef and clams.